Friday departures from Gatwick or Heathrow. 7 night Nile Cruise & and then a 3, 4 or 5 nights Red Sea Stay - Monday or Wednesday departures from Gatwick or Heathrow. 4 nights Red Sea Stay & 7 nights Nile Cruise, Saturday departures from Gatwick. 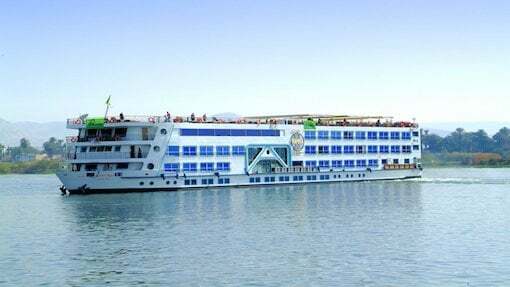 7 nights Nile Cruise & 3, 4 or 5 nights Red Sea Stay. Monday or Wednesday departures from Gatwick or Heathrow. Combine a Nile Cruise with a stay on the Red Sea. Originally a sleepy, remote fishing village, Hurghada has become one of the liveliest and busiest resorts in the Red Sea whilstretaining the character and charm of bygone days. Depart UK. Upon arrival at Hurghada Airport, met and transferred to the hotel of your choice for a 3 night stay. Transfer to Luxor to board your five star Deluxe Nile Cruise vessel. Breakfast followed by checkout and transfer to Luxor international airport for your return flight home. Optional Balloon flight excursion at sunrise priced at approx. £120 pp. The road transfer from Hurghada and Makadi Bay to Luxor takes approx. 4 hours and El Gouna to Luxor takes approx. 4.5 hours.